Do you have that favorite t-shirt, the one you can’t wait to get home and get into, the one you wait by the dryer for, the one you wear till you just can’t stand it anymore, like Linus from Peanuts? That one t-shirt you cook in, clean in, bake in, sleep in, blog in and just plain Live In! Well, I do. 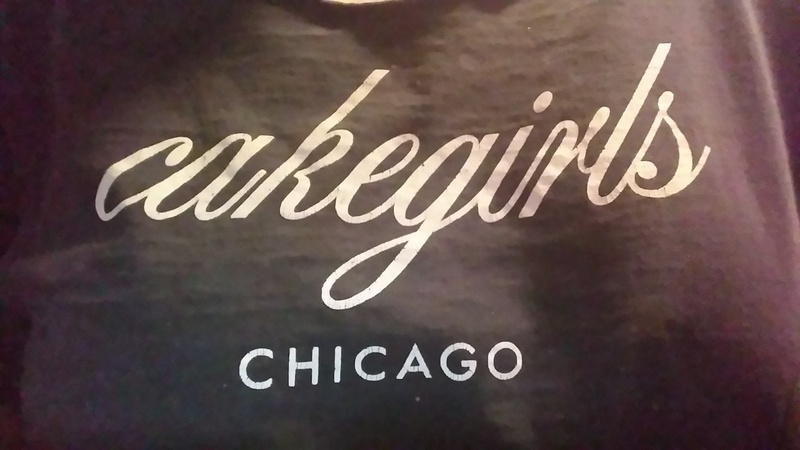 Do you remember when the Cakegirls from Chicago’s bakery burned down, and they were selling t-shirts as a fund-raiser? I bought one. $20. Best $20 I ever spent. What’s your favorite t-shirt story? I have a few favorite tees!! !